Check out our list of surplus and hard to find parts here! 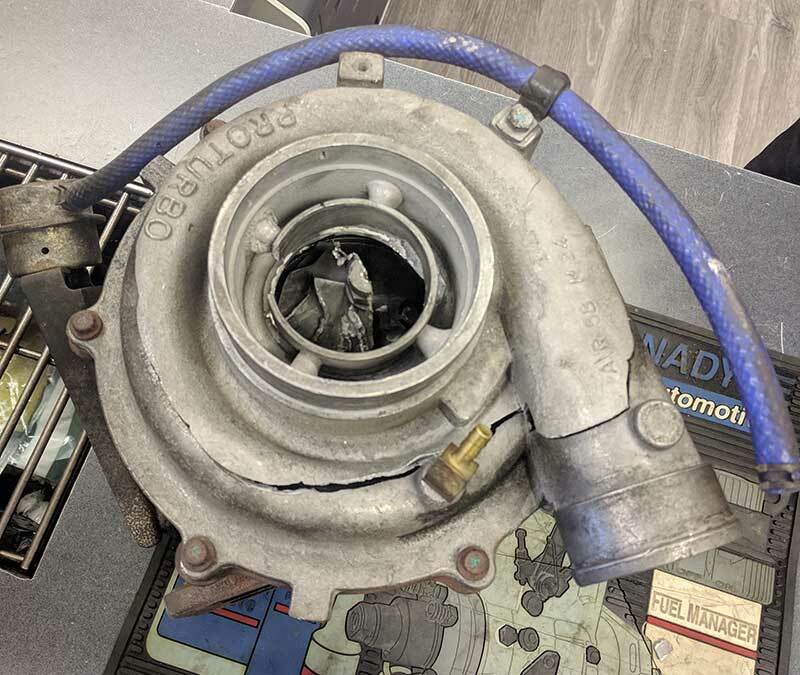 We talk a lot about the importance of buying quality products, often with a higher initial price tag, but it’s rare we talk about turbochargers. Yes, we can help with all your turbocharger needs too! Cheap parts (often with an unknown or dubious origin) to your engine are basically like fast food to our bodies, it doesn’t like it and it won’t last long! Your equipment, whether it’s work or pleasure, is an investment and we want to help keep your investment going as long as it can. Buying top quality OEM parts is one way to reduce costly downtime. 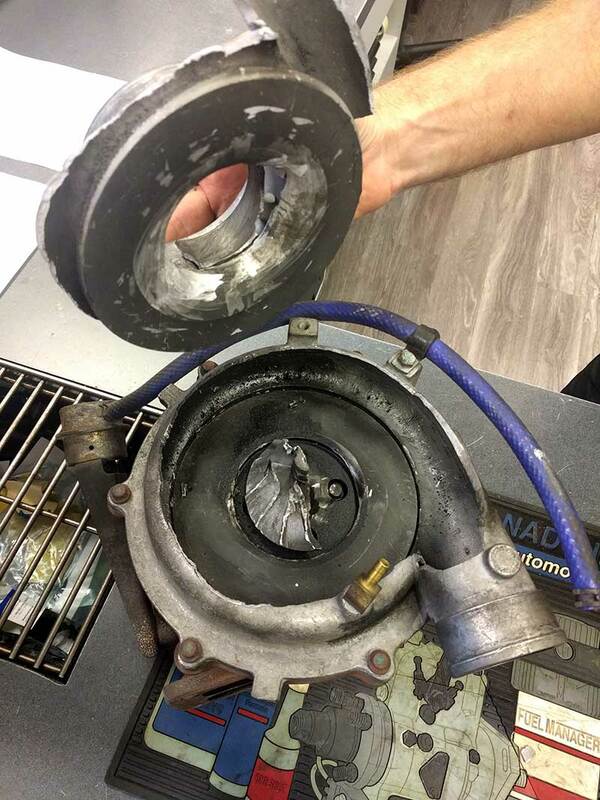 Here’s a clear example of an aftermarket turbo that just couldn’t live up to what was promised. This was recently sourced and replaced, and now the customer is back in the shop spending money instead of on the road making it. Any guesses as to where all the missing aluminum and the other half of the wheel can be found? I’ll give you a hint – aluminum melts at engine combustion temperatures! Yes, OEM is more expensive but you really do get what you pay for. Don’t find yourself like this customer who had to learn the hard way that just because it’s cheaper doesn’t mean it will work for you. Why Do 6.0L Injectors Fail? Why Do 2003-2007 Dodge 5.9L Cummins Fail?